Known among the Ḥasidim as Rabbi Aaron the Great, orsimply as the "Preacher" or "Censor"; born in 1738; died 1771. He was one of the early great rabbis of the sect who helped the rapid spread of Ḥasidism in eastern Europe, and was distinguished for the fiery eloquence of his exhortations. He died one year before his master, the great Rabbi Baer of Mezhirich, and was succeeded by his son, Asher of Karlin (I.). 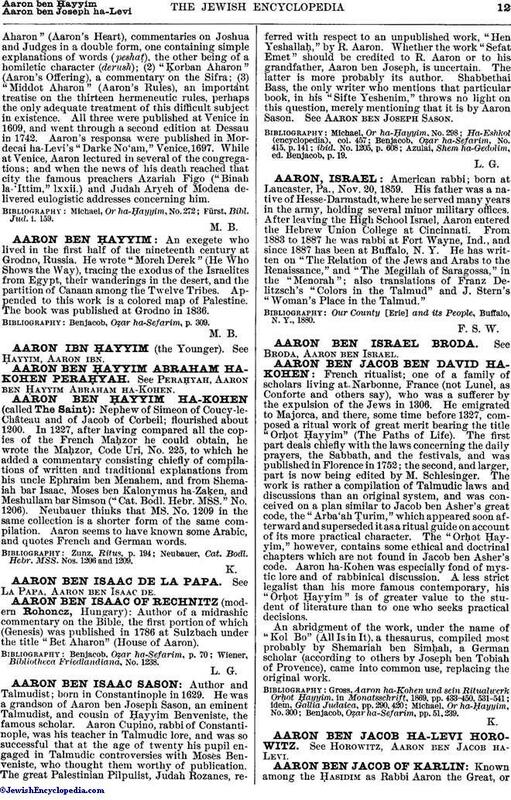 Aaron is the author of the Sabbath hymn which begins and is still a part of the liturgy of the Ḥasidim. 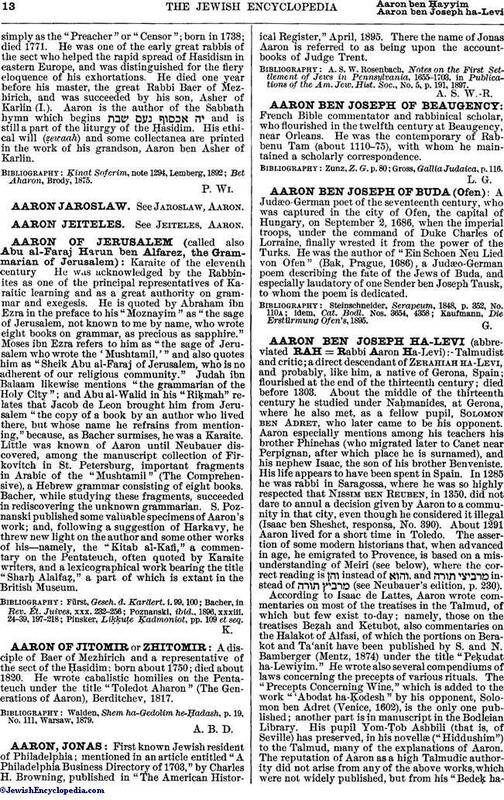 His ethical will (ẓewaah) and some collectanea are printed in the work of his grandson, Aaron ben Asher of Karlin.